In M?ori the name for Auckland is T?maki-makau-rau, which literally translates to “desired by a hundred lovers”. Not hard to believe given the incredible mix of forests, beaches, and buildings the biggest city in New Zealand flaunts. Whoever you are, whatever you want, you’re guaranteed to fall in love with this kiwi gem, just like the M?ori people did thousands of years ago. In the heart of Auckland, you can find the CBD, Central Business District, the perfect place to watch people in suits go and make deals while you’re sipping on your coffee in a cute European-style café. This is the place to stay if you want to be close to the city’s main attractions, including the breath-taking Sky Tower, a stunning observation point or a thrilling source of fun – if you’re brave enough to jump from there. Ponsonby is an unmissable hipster neighbourhood, the perfect place if you value good coffee, good beer, and good music. Right before sunset, as the sky starts turning pink, you should climb up Mount Eden, the city volcano – yeah, that’s a thing! Admire Auckland lazily stretching into the ocean as the sailboats rock back and forth and when it starts getting a bit chilly, just throw that sweater over your shoulders. Hostels in Auckland are around £15 per night and often offer outdoor spaces to relax with a cold beer on a sunny day. One feature you need to look out for is free parking, as it can be quite expensive. You definitely don’t need to worry about a good atmosphere and fun times though, as they are guaranteed pretty much everywhere in Auckland. Imagine a pretty white house surrounded by plants. A big kitchen filled with laughter and the smell of rosemary. A lovely garden with wooden tables and a quiet cat. Imagine people from all over the world coming together around the same sofa, playing board games on a little coffee table. Now stop imagining and book your stay at the Brown Kiwi Travellers Hostel. If you’re looking for a homely feeling, Bamber House is perfect for you. This big building overlooks Auckland from the hip Mount Eden and features cosy common rooms with a cute little cat and huge gardens with a big fluffy dog. Let the owners take you to the city for a pub crawl, a cinema night or a game of bowling, or stay in playing board games and making friends. What do you think about free vegetarian dinners every night but Sunday, when it’s pizza time? Let’s add campfire and movie nights, bread baking and organic gardening classes and cute chickens and cats roaming free in beautiful organic gardens. Also, what about compost and recycling systems and a bicycle-powered washing machine? Too good to be true? No, it’s the Fat Cat Travellers Community Hostel, it’s real and you can book it now. Ponsonby Backpackers is a little cosy oasis just 20 minutes from Auckland centre. If you’re looking for a relaxed atmosphere, this hostel located in a Victorian house is the place for you. You will feel like sharing a house with friends while chilling in the common room watching tv or enjoying a cold beer in the outside garden. Did you know Auckland is not just the mainland but islands too? We recommend exploring Waiheke, a little piece of paradise with white beaches and tropical vegetation. Hekerua Lodge is the perfect hiding place for surfers, sun-chasers and whoever enjoys laying in an outdoor pool on a lazy Sunday afternoon, which, let’s face it, includes pretty much anyone. Haka Lodge is not a traditional party hostel. It is right on K Road though – one of the craziest streets in the world that has daily events, all year round, from festivals to concerts to EDM nights. This is why this hostel can easily satisfy all the party animals while still offering aesthetically pleasing exposed bricks walls and solid hardwood bunk beds. Located in the stunning district of Mount Eden, right beside the cutest cafés in the city, Oaklands Lodge Backpackers provide an endless stream of fun. Enjoy a game of laser tag or a movie night, have fun at the BBQs that take place weekly in the gardens – yup, that’s plural – or swoon your crush strumming the common guitars in the living room. Just don’t play Wonderwall, please! If you want to feel like you’re living the real Auckland, Verandahs Backpackers Lodge is the perfect match for you. It’s a big historic house in Ponsonby, the hip neighbourhood, with a kitchen that will stun all the cooking lovers out there and a postcard view. Also, the sofas are extremely comfortable, which is always a plus. Perfectly equipped kitchens, huge common rooms with everything you may need for a rainy night in – from DVD’s to cable TV – and a beautiful balcony to enjoy Auckland’s gorgeous weather. YHAs are exactly like your mom: you can always count on them, and they’re pretty awesome. This is for the quiet ones. A hostel for those who like to wake up slowly, take a stroll to the La Cigale Sunday market, then go for a dip in the Parnell baths. Ideal for those who like to come back to a place that feels like home and cook with herbs and spices while humming to their favourite songs. This is for those who like to lay in the backyard looking up at the stars when their skin still feels salty. Yeah, Lantana Lodge is for them. Waking up with a stunning view overlooking the ocean can only be beaten by relaxing on a hammock right before dozing off to the sound of waves. Waiheke Backpackers is a hostel’s response to the amazing seaside resorts you only see in films. Your chance to have a little Eat Pray Love moment while you lose yourself in the island’s vineyards or take a dramatic walk on the beach wearing an all-white ensemble. We hope this guide helps you find the perfect place to stay while you’re visiting the beautiful Auckland. Let us know in the comments if you’ve stayed in one of our recommended hostels, or if you’d like to share a hostel that you think other backpackers shouldn’t miss. Now that you know about the best hostels in Auckland, it’s time to plan the rest of your trip! 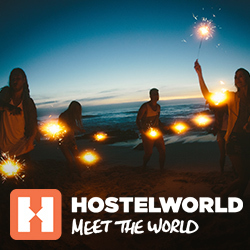 The post The 12 Best Hostels In Auckland appeared first on Hostelworld Blog.